As keynote speaker Colin Moon gives you an insight into all aspects of cross-cultural business communication, from international leadership to cross-border teamwork. Colin Moon is well-known for his unique, relaxed and humoristic style which adds a warm, personal element to conferences. He is well-known for being humoristic and energetic, yet respectful and gentle. He gets his message across in an amusing way and audiences worldwide appreciate his sense of irony. Swedish business culture as seen from an international perspective – teams, alignment (förankring), processes and decision-making. 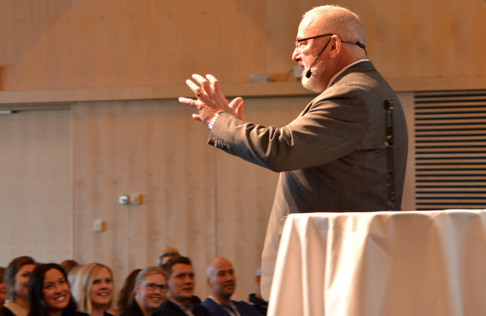 The four business cultures in the Nordic area – similarities and differences which affect performance in a Nordic team. Global business communication – the key areas of cultural difference which affect overall performance.